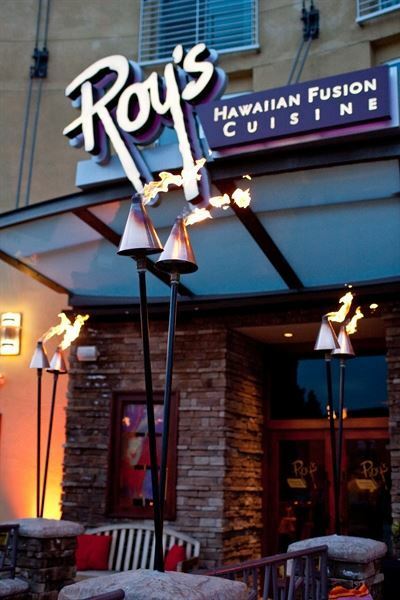 Located in the heart of the historic Pasadena Playhouse District, Roy’s is just minutes from the Pasadena Convention Center and most major hotels. Our Private Dining Rooms are a unique way to turn every event into a memorable occasion. Our semi-private dining areas are great for groups that want to “see and be seen” and we’re always pleased to open our doors for your next lunch event. We have a wide variety of remarkable menus available to you, and our Group Sales Manager will assist you in creating the exact event you desire. Escape the ordinary. Eat creative.